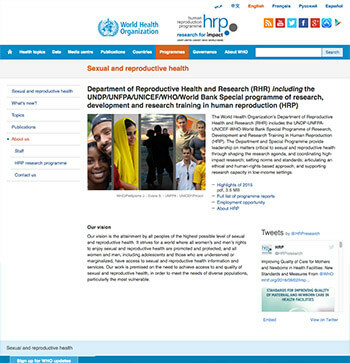 These are interactive tools developed by WHO’s Department of Reproductive Health and Research (including HRP). For further information and resources access the full site. 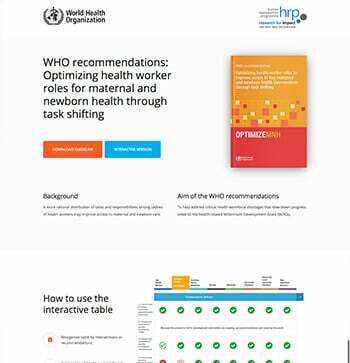 Interactive checklist to be used by SRMNCAH programmes. Preterm birth is the leading cause of death in children under five worldwide. While preterm survival rates have increased in higher-income countries, in many low- and middle- income countries (LMICs) preterm newborns still die due to a lack of adequate newborn care. On this website, you can explore the latest estimates of preterm birth rates at global, regional and national levels for 2014, with time trends in selected countries. A better understanding of the extent of maternal morbidity is needed so that it can be both recognised and effectively addressed by countries and health systems. 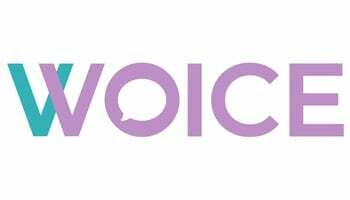 In recognition of this need, WHO has launched a new tool to help health professionals and researchers better monitor and measure this burden – the WHO Maternal Morbidity WOICE Tool. 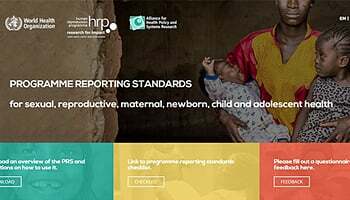 An interactive tool aiming to rationalize the distribution of tasks and responsibilities among cadres of health workers in maternal and newborn health. 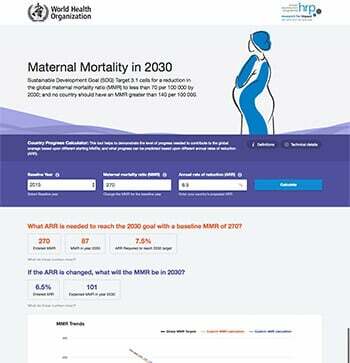 This tool enables users to calculate what Annual Rate of Reduction (ARR) is needed in any given country to reach the 2030 Sustainable Development Goal for maternal mortality. 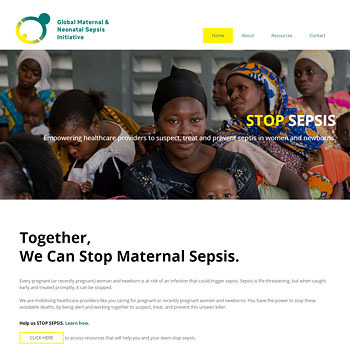 A website dedicated to empowering healthcare providers to suspect, treat and prevent sepsis in women and newborns. 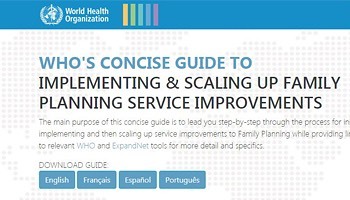 The guide summarizes learning from various scale up approaches and tools into one interactive online guide. Links to the original resources provide users an easy way to access reference materials while at the same time facilitating use of the guide in an interactive format. 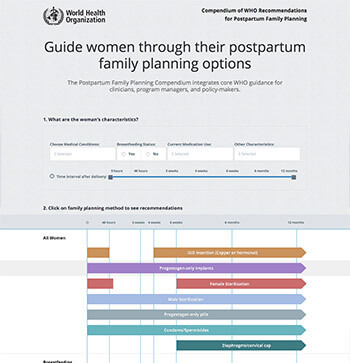 The tool provides tailored recommendations for postpartum contraceptive methods based on information entered about a woman’s medical condition and other characteristics. 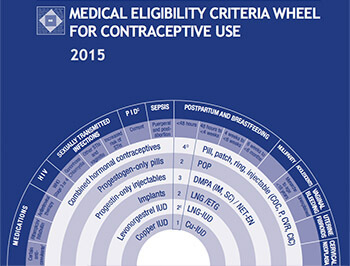 This is an animated version of the Medical Eligibility Criteria wheel for starting use of contraceptive methods, based on Medical Eligibility Criteria for Contraceptive Use, 5th edition. 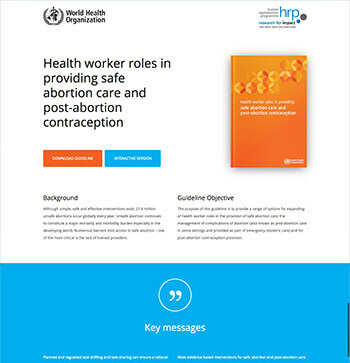 The interactive version of this guideline provides a range of options for expanding of health worker roles in the provision of safe abortion care, the management of complications of abortion and for post-abortion contraception provision. 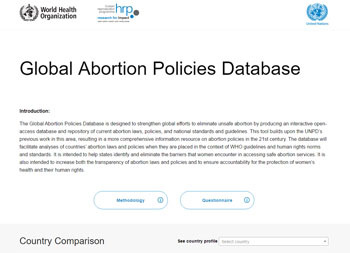 The Global Abortion Policies Database is designed to further strengthen global and national efforts to realize access to safe abortion by producing an interactive open-access database and repository of current abortion laws, policies, and national standards and guidelines. This simple-to use toolkit will guide you to the most recent, relevant and important SRHR and HIV linkages resources to meet your needs. 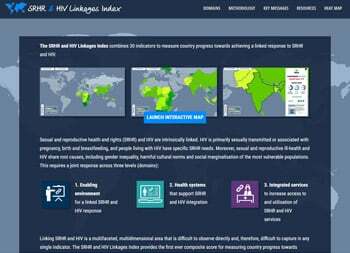 The Index combines 30 indicators to assess progress made in 60 countries towards achieving a fully linked SRHR and HIV response. Engaging men and addressing masculinities is identified as an important strategy to promote SRHR and gender equality. A systematic review was registered with the Campbell collaboration with the aim of identifying the state of evidence on interventions that engage men and address masculinities to improve SRHR outcomes and to assess the extent to which and the quality of those interventions that explicitly challenge harmful masculine norms and unequal gender-power relations. 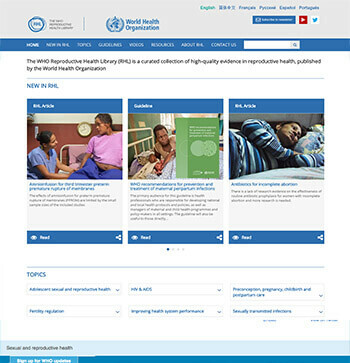 On this website you can explore the evidence and gap-map of studies on interventions engaging men and addressing masculinities by type of sexual and reproductive health outcomes and by country settings based on the World Bank income categories. You will find more information and relevant publications on our parent sites. Including the UNDP-UNFPA-UNICEF-WHO-World Bank Special Programme of Research, Development and Research Training in Human Reproduction (HRP). Providing leadership on matters critical to sexual and reproductive health including research; setting of norms and standards; and promoting an ethical and human-rights-based approach. A wide range of publications on matters relating to sexual and reproductive health and rights are available to download free of charge in a number of different languages. 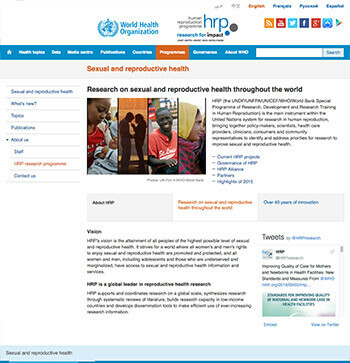 A curated collection of high-quality evidence in reproductive health, published by the World Health Organization.